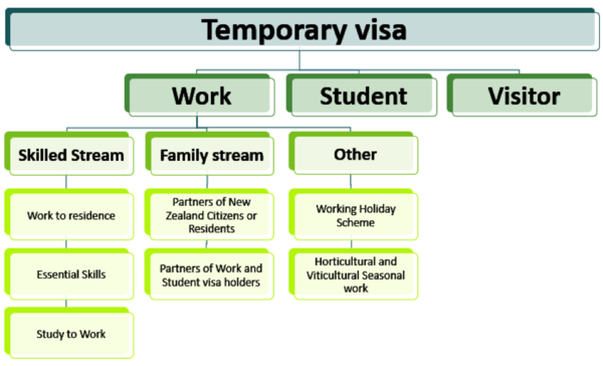 If you have a job offer from a New Zealand employer which fills a gap in skills, or you have completed a course of study and would like to stay, find a job and work in New Zealand you may be eligible for one of the visa under the Skilled Stream. When your partner is a New Zealand citizen, Permanent Resident or the holder of a work or student visa AND you want to join them in New Zealand AND be able to work one of Work visa under the Family Stream may be right for you. You may be granted one of visa in the Other Work visa category when you like to travel to New Zealand and work while you are here or when you would like to work specifically in the wine or horticulture industry.